Unfortunately, for all of the convenience, luxury and freedom that vehicles provide us with on a daily basis, there is an inherent risk every time you start the engine. The roads are fraught with perils and even though you may be the best driver on the road, you may one day be unlucky enough to encounter the worst. Whether it is your fault or not, there is certain protocol anyone should follow immediately after being involved in a car accident. If in doubt, don’t think twice to contact Motor Accident Legal Service to provide you with proper legal guidance. This might seem obvious, but if you are involved in an accident, do not move any of the vehicles. Turn on the hazard lights, blinkers or try and signal traffic in both directions to alert them that there is a hazard on the road and they should approach with caution. The last thing you want is another vehicle crashing into you. If anyone is injured, do what you can to try and help them. If someone is bleeding, try to slow the bleeding by applying pressure. Be very careful not move anyone if there is a risk of back or neck injury as moving the spine can inflict further injury or death. The police should be notified of an accident, especially if there are injuries. It is advisable to call the emergency number 000 right away to notify the authorities. They will notify the police, ambulance and other emergency personnel if needed. It is important that the police be made aware of other circumstances such as a driver who has been drinking or appears to be on drugs. A police report also needs to be filed in order to process insurance claims if you need to collect damages from another drivers insurance or if your insurance needs to pay out on a claim. You don’t want to leave the scene of an accident without collecting all the details that you may need. Of course, if there are serious injuries that need to be addressed, this step can wait. What you need to collect is the personal information of all who were involved in the accident such as names, addresses, phone numbers and email addresses. You should do the same with any witnesses in case there are issues with who is at fault. Collect the other driver’s insurance information including the company, policy number and phone number. Having photos of the scene of the accident can also help prove who is at fault should it come into question. Capture the clearest images possible of skid marks, damage to the vehicles or property, debris that may be on the road and the position of the vehicles. It can be advantageous to also get general pictures of the scene that help identify the location such as street signs or buildings. Clear photos of the other driver’s insurance cards and license plates can be taken in case the information is lost. 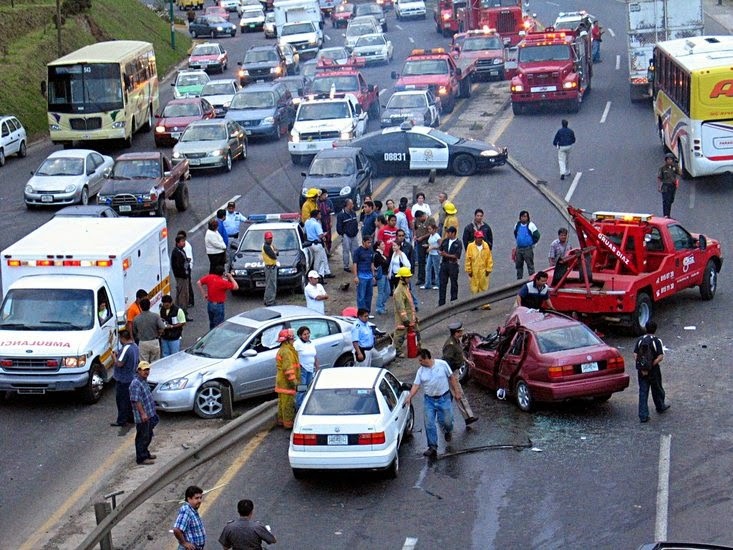 Every driver loathes the day that they have to deal with an accident. The best thing anyone can do is hope to emerge unscathed and be prepared with the knowledge of how to deal with situation properly.